Today we almost overlooked a little news item: Cobalt Energy, a relatively new and self-described “boutique” company working on the bleeding edge of deepwater oil exploration in the Gulf of Mexico (targeting the highly challenging, and ultradeep, “subsalt” play), had to abandon an appraisal well they were drilling more than 150 miles out in the central Gulf of Mexico. The drilling was being done to assess the potential of their “North Platte” prospect, in water about 4,800 feet deep. The well had reached a depth of over 20,000 feet and was being drilled from a ship called the Rowan Reliance. This was a very expensive well to abandon. So what happened? 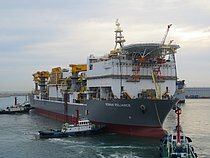 According to this terse news account, there was a failure of a seal in the riser — the pipe that extends from the seafloor up to the drillship. Luckily in this instance we don’t expect any spill to result from this accident, but it’s a stark reminder: stuff breaks. Mechanical failures and human mistakes are inevitable, with increasingly high stakes as offshore drilling pushes ever deeper. We can, and do, build incredible things in our pursuit of oil and gas. But in water more than a mile deep, with high-pressure wells extending miles below the seafloor…will we be able to fix them when they break? 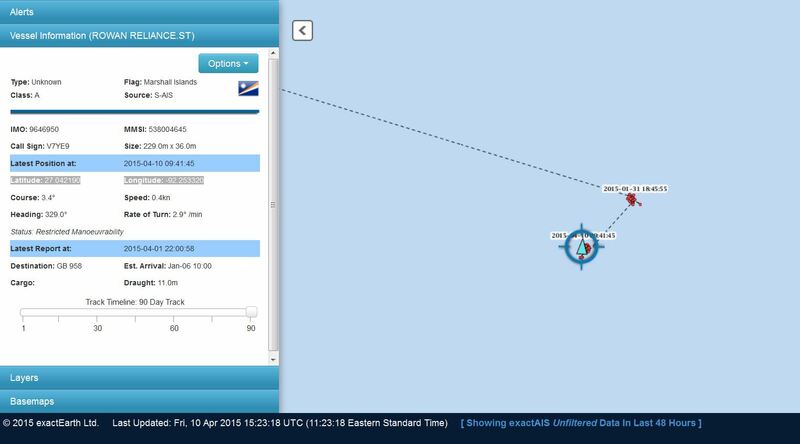 Position of the drillship Rowan Reliance on April 10, 2015, showing location of the abandoned deepwater appraisal well in Cobalt Energy’s North Platte prospect. Existing platforms and pipelines shown in orange. Seafloor topography indicated by shaded relief. 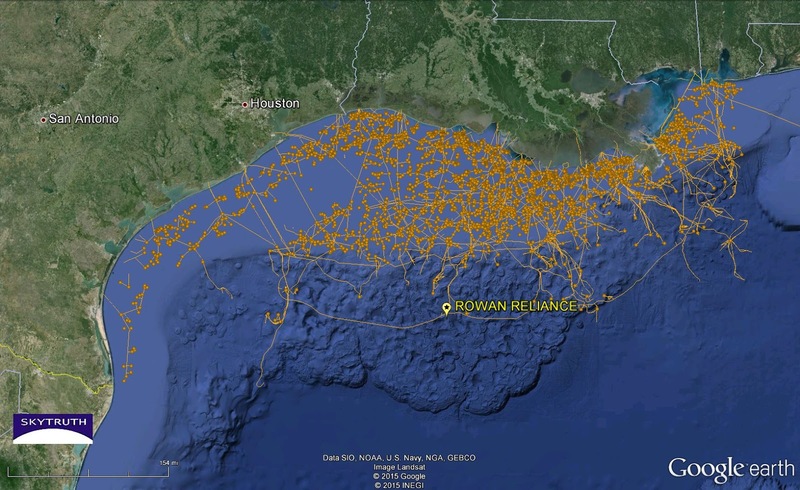 Detail of AIS vessel tracking data showing the location of the Rowan Reliance on April 10, 2015. The track shows it arrived in the area in mid-January, and apparently drilled a well at a location a few miles northeast of the failed appraisal well. AIS data copyright exactEarth / ShipView. https://skytruth.org/wp-content/uploads/2015/04/SkyTruth-RowanReliance-10april2015-GE.jpg 980 1600 John Amos /wp-content/uploads/2016/08/test_logo.png John Amos2015-04-10 16:21:002019-02-06 10:58:10Stuff Breaks. 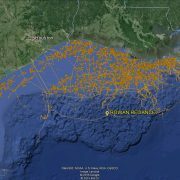 Fire at Pemex Oil Platform in the Gulf of Mexico Offshore Drilling: 5 Years After BP, How Bad Can A Spill Be?